Jay Leno is a man who loves his cars. It is a well known fact that he has one of the biggest and expensive car collections in the world, with over 280 vehicles. The collection is not only vast but impressive; it contains some of the most iconic and important cars which shaped the current automotive world. To go through every car he owns would take forever, so instead I am going to pick out my favourites. One of the only cars to have the driving position right in the middle of the car, however that’s not why this one makes the list. The F1 is still a hugely impressive piece of engineering, despite being made in 1992; when it was released, it was the fastest car in the world, hitting 240mph. I mention the year, as that is what makes this car so desirable. They only made the Stingray with the now iconic split windows for a year and then it was scrapped. Now, there are very few left and having one from that year makes it especially valuable. Arguably the most beautiful car ever made; this one was added to the collection in 2013 and is a full original. This is viewed by many as the world’s first supercar. Built in 1969, it is also one of the best looking cars the Italian outfit has ever produced. The Challenger is symbolic of the muscle car period and epitomises everything that was great about that time. It was Dodge’s answer to Ford’s Mustang and Chevrolet’s Camaro, but because it was made so late in the game, sales weren’t as impressive, making it even more rare. The winner of the Le Mans 24-hour endurance race in 1929 and 1930, this car really helped to engrain Bentley’s racing pedigree. When it comes to looks, this is my favourite car on the list – it is just perfect. Unfortunately Jay’s example is not an original, but a replica body that was built over a Bugatti chassis and engine. To be fair though, there are only two originals left in the world and they’re valued at over $30,000,000. The turbine jet engine that can run on anything from salad dressing to jet fuel; this was once Chrysler’s vision for the future. The stripped down track car that will rip your face off. This is something for the true motor enthusiasts. This car is simply beautiful, there is no doubting that. The most amazing thing about this one in particular, however, is that it was found in a barn and carefully restored and improved to include things like fuel injection. This car was built by the team of engineers at Leno’s garage alongside General Motors. The car itself is powered by a jet turbine and, as the name suggests, it’s eco-friendly. The P1 was one of the first of the hybrid-supercars to hit America’s streets; Leno’s version is one of just 375 ever built. This car was given its name because it has the engine from a tank, specifically an M47 Patton. This steam-powered car hit 132.5 back in its day. This particular one was once owned by the eccentric American billionaire, Howard Hughes. Another uninspired name with military mechanics; this 27-litre engine Bentley has the engine from a WW2 Spitfire. Built by McLaren’s Gordon Murray, this is supposed to be a completely pure driving experience. 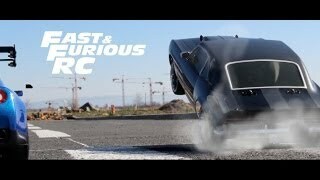 Top Ten Celebrity Cars | ..
Fast & Furious RC : The G.. 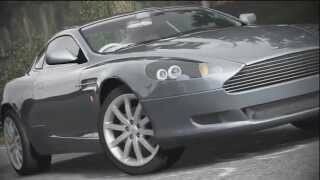 Copyright © 2014 © 2010-2014 Celebrity Cars - All rights reserved. Managed by Dealer Buzz. How do you find the best Utah Classic Car? What Would It Actually Be Like to Fly the Millennium Falcon from Star Wars? Why You Should Buy A Celebrity Car?